Your information is used to complete a transaction, to promptly deal with any enquiries or customer service issues and to keep you updated with Healthy Pets Naturally products and services via email, mail or telephone. If at any time you no longer wish Healthy Pets Naturally to have your personal details on file, please email us at info@healthypetsnaturally.com.au or contact us via telephone 02 9979 6008 to request removal of that information. 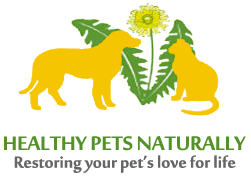 Links to third party websites on www.healthypetsnaturally.com.au are provided as a convenience to you. If you use these links, you will leave the Healthy Pets Naturally site. We are not responsible for any of these sites, their content or their usage of your personal information.